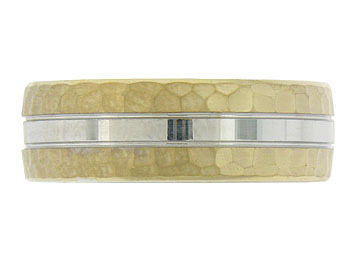 This handsome wedding band is fashioned of 14K white gold with a simple ribbon of yellow gold at the center. 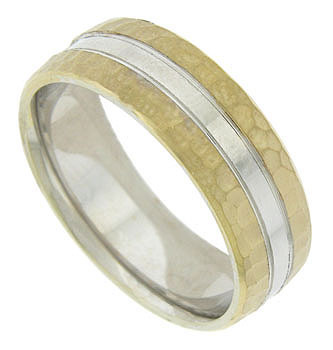 The edges of the wedding ring are hand hammered. The ring measures 7.36 mm in width. Size 10. We cannot re-size but we can reorder in other sizes. Please contact us for current market cost.